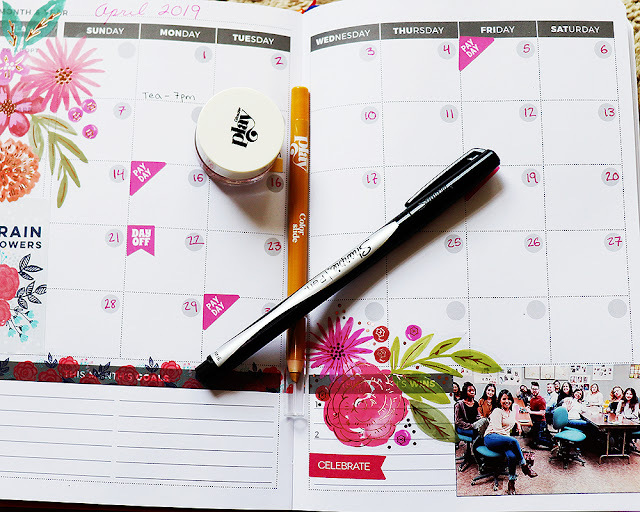 Getting my hands on Benefit Lolli Tint was...interesting. While I enjoyed Benetint, I had less luck with Posietint, making me hesitant to dish out $30 for a brand new, full-sized bottle. Lucky for me, a seller on Reddit was purging her barely-used bottles of Chacha Tint and Lolli Tint at a great price. I jumped on the deal, oh so excited to get my new goodies! Is...is that a boot print on my package? Wow. Just wow. Needless to say, the stuff was not usable, nor could it be exchanged. The seller was kind enough to refund me--even though this mess was totally not her fault--and I fumed for a good 24 hours. 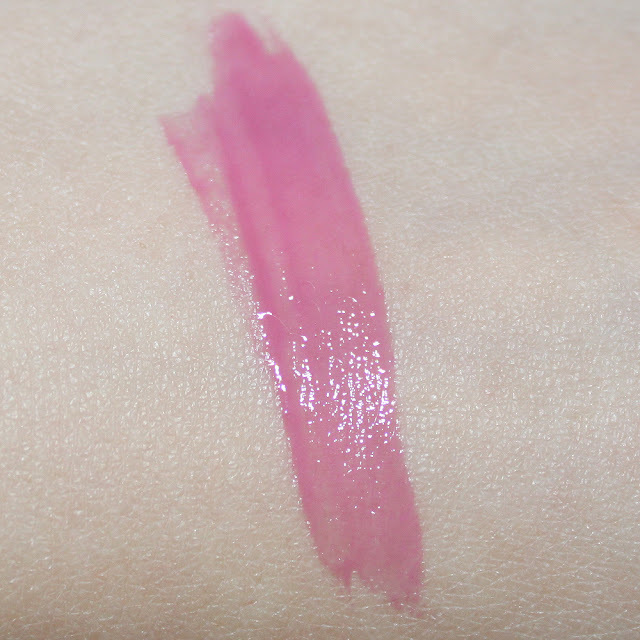 Then a friend said, "Oh, hey, I have Lolli Tint and I never use it; wanna swap for this lipstick I want?" Huzzah! The tint was obtained! Benefit charges $30 for 12mL of product, which isn't bad as far as stains go. The packaging of Benefit's tints is the subject of much debate: it comes in plastic bottles with a nail polish-type applicator. A lot of people reeeeaaally hate this packaging, but I don't mind it; I had no problem swiping the stuff on my cheeks and lips, then blending it in with a finger. If you're concerned about keeping the product sanitary, you can use a clean finger or a spatula to remove some from the brush tip and apply from there. 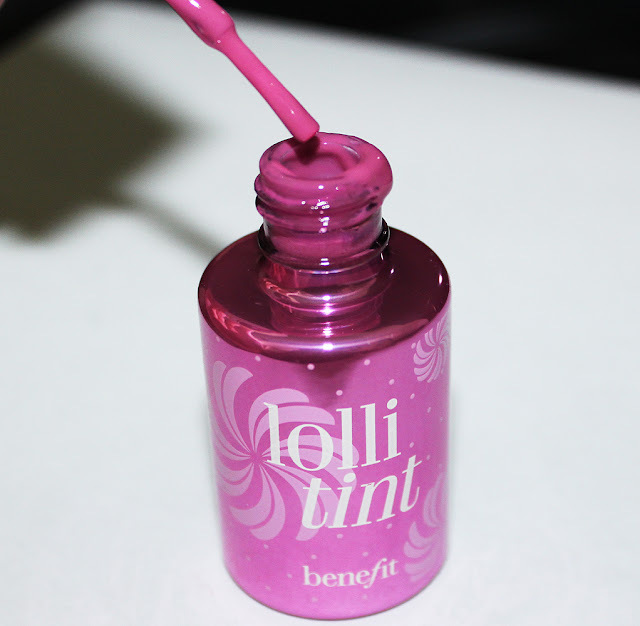 Benefit describes Lolli Tint as a "candy orchid" color that will work well on your lips and cheeks. This is a relatively accurate depiction of the color, at least on swatching: it's a creamy, dreamy, soft purple color that makes me weak at the knees. Wearing Lolli Tint, though, wasn't the purple dream I expected. While this stain looks like a cool, bright pink or even a soft lavender on other people, it looks like...plain pink on my cheeks. It's not bad, but it's definitely not the color I expected. 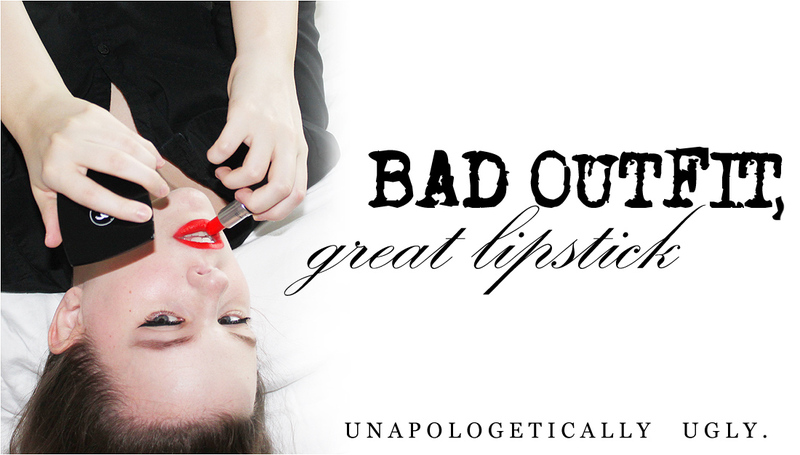 The same goes for my lips: it sort of "darkened up" my natural lip color. The formula is quite thin, so I only applied the stuff to one cheek at a time, then worked quickly to blend it out. This didn't bother me because it's par for the course with stains. 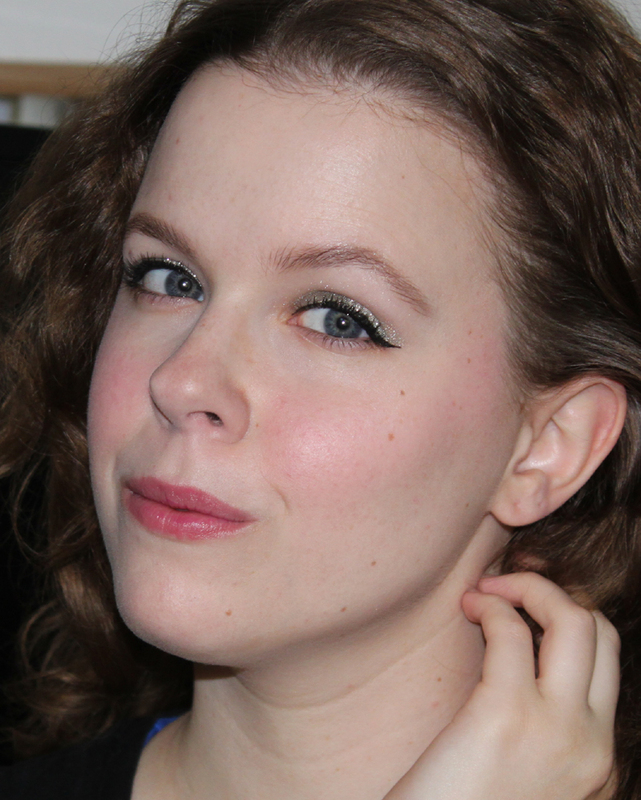 What did bother me was that I didn't get much pigmentation with one layer, despite the fact that I am very pale-skinned; I had to add three layers of product to my cheeks and two to my lips to get it to show up fully. I can't imagine this working on anybody with a deeper skintone. My biggest problem with Lolli Tint is that it just looked awful on me. On my cheeks, it highlighted texture I didn't even know I had--see the tiny red "specks" in the macro shot above. Instead of looking like I was blushing and cute, I looked like I had a terrible fever. The stain did last for 5-6 hours, but because it was hideous, I wasn't too thrilled by that. This was also a poor excuse for a lipstain. Again, it made my lips look darker, not cool pink or lagender, and after an hour, all of the color had gathered in the center of my lips. It also left my lips completely parched. The frustrating thing is that I didn't really have these problems with the original Benetint. Benetint sat well on my lips and cheeks and was the perfect "in from the cold" color. It left me with high expectations for other stains. Lolli Tint? Totally not matching up. That's really good to know, thanks. I wonder if the sheerness has to do with the milky color of the product. I'm guessing they wanted it to look "radiant orchid" and not dark purple in the bottle, but that would mean less pigment when it's actually in use. And I can't believe that package! Did the post office have anything to say about it? Probably not if it wasn't insured, I guess. They just gave me the half-arsed apology plastic you see underneath the package. :/ In all fairness, I've never had this problem with USPS before. Damn, the swatch is gorgeous!!! Too bad it doesn't translate. SERIOUSLY! Doesn't it get your motor going?! So upsetting. Oh man, what a shame. Lollitint is the one Benefit item that I've ever considered buying, so it's good to know that it's a disappointment. At least your wallet didn't suffer!